Still no finishes, but progress being made. 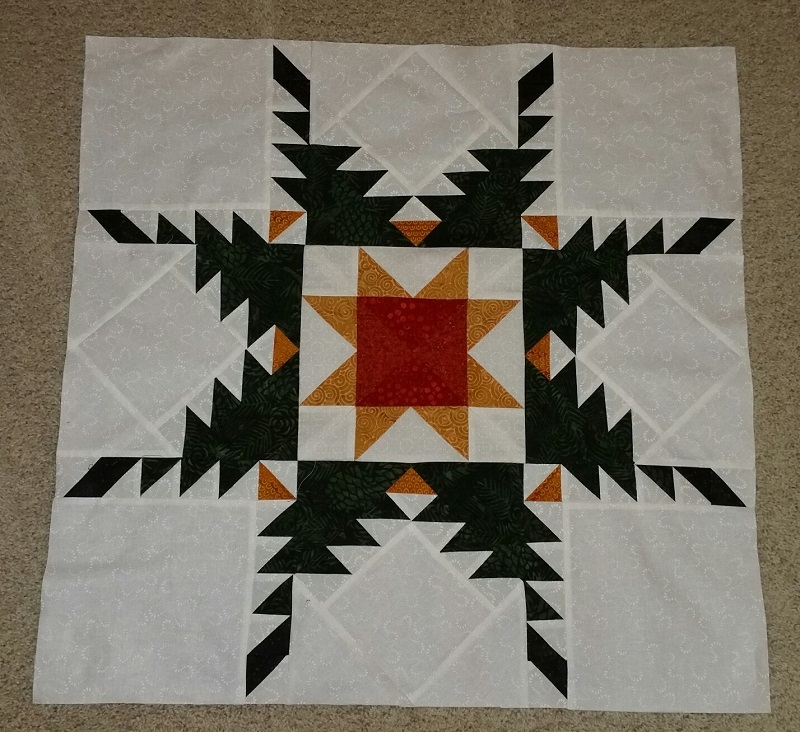 Below is one more of the feathered star blocks completed! Two more blocks to go. These will both be with red feather and green/gold center blocks. 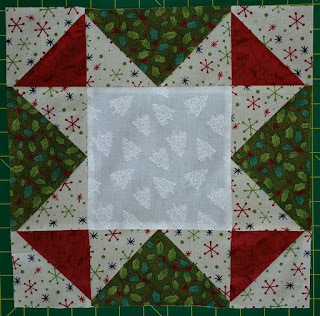 Then sewing together and a couple of borders. I see a finish on the horizon! Also completed was the block for Sunshine Guild. 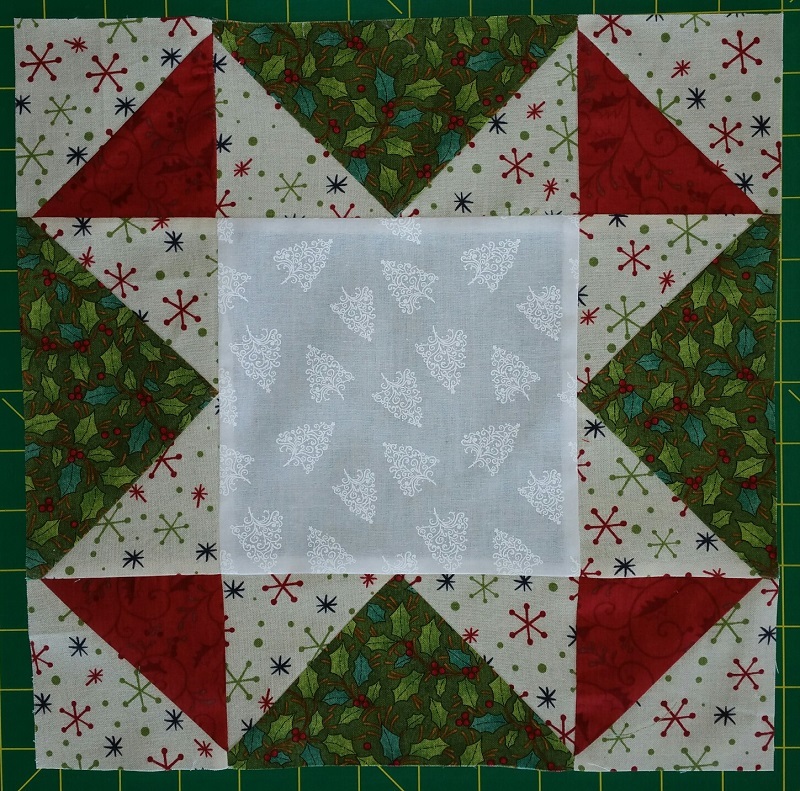 A nice simple block that will be raffled off with all the others turned in. No changes to the stash this week. Net Fabric Used YTD: 64.5 yards.